I’m an 80’s/90’s kid. I’ve bought music in various formats over the years including 8-track, vinyl, cassette, CD, and digital. While there are some pro arguments for digital music, including its ease of portability, this list explores the advantages of CDs versus digital files. 1. CDs sound way better than a digital file (usually). So many people are obsessed with these super-compressed file formats, but sometimes music just needs to breathe. Don’t believe me? Find a quiet place, grab a pair of really good headphones and listen to a downloaded version of a song then listen to the CD version. I’m talking over the ear studio-style headphones here, not those in-ear buds. Any person who considers themselves an audiophile should be able to tell the difference immediately. Sure, not every release by every band is available on CD but if you have the option then a CD should be a no brainer. 2. Digital files have no resale value in the market place. Even when you “buy songs” on iTunes, you don’t own the files but are merely just paying to license them for personal use. CDs can still be sold to a third party, legally. If you are caught selling digital music files, even if they are ones that you ripped directly from a CD you purchased, you are subjecting yourself to legal action as a “copyright infringer” or “pirate”, at least that’s how it is here in good ole ‘Murica. You can’t sell a digital music collection on eBay, but you CAN sell your CD collection (if you wanted to). Granted, the average market price for used CDs has gone down a bit since the digital revolution, but they’re still worth more than MP3s. 3. It’s technically two-for-one when you get a CD. The reason for this is because you already get a digital copy of the album when you purchase it. Not only can you “rip” it to your computer as digital files, but a lot of music retailers such as Amazon and Bandcamp are now including a free digital version of the album when you purchase a CD. 4. There is a sense of satisfaction with a large CD collection. One thing I definitely miss having is a huge CD collection. Regretfully, it was sold off in chunks over the years for reasons I’d rather not get into. However, there was a sense of pride with my CD collection, a vast library of multi-genre audible escape forged by nobody but myself. I was proud to show it off to friends and acquaintances. You don’t really get that with a hard drive full of music. 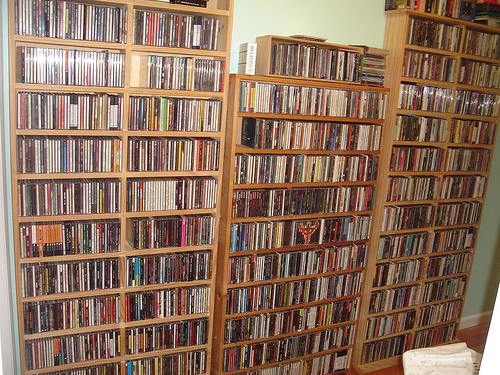 Saying “I have a collection of over 1000 CDs” means something….it’s an accomplishment. But saying “I have over 20,000 songs in my iTunes” is just lacking in the wow department. These days, you don’t even know who purchased their music and who pirated it. So, to applaud someone with a large digital music library just seems unnatural to me. 5. Liner notes, pictures, and lyrics….oh my! This is cool if you really like the band and want to know who wrote each song and see exclusive photos and artwork. Sometimes you get the lyrics too; which is great for fans of Metal bands whose vocal deliveries may not be that comprehensible, as awesome as those bands may be it’s nice to actually know what they’re saying. Sure, you can probably just look up the lyrics online and sometimes you get additional content with an album download that has all the stuff in the CD booklet, but it’s just not the same. It’s so much easier to read a CD booklet on the shitter than it is to try and poop with a computer on your lap. I guess a tablet on the toilet wouldn’t be too bad, but not everyone has those. There is always the phone, but you put that up to your ear and near your mouth….do you really want to be touching that while you’re pooping? I sure don’t. BONUS REASON: If you have access to members of the bands you can have them sign your CD booklet or tray insert. You can’t really do that with an iPod or MP3 player. Want even better high definition sound? You might want to give vinyl a try. Read our post about vinyl here. I completely agree! I love holding a new CD in my hands! I also have cassettes in my car. We have 8-Tracks in the attic along with some old 45’s (not the year) as well! Just the feel of it means you put your money to something you love. You are also supporting the bands that you love. For me I don’t buy the CD for the single I buy it for the whole experience. Thank you, for sharing this with the public, I hope that I can acquire such a massive collection someday!! If the song appears on a cd, buy the full version. You may or may not have more bang for your buck, but you can just rip it to your computer and then back it up on an external. Downloading the song is a risk and a reward in many ways, but should the unthinkable happen (RIAA coming at your door), you end up regretting it. Believe it or not I own 20,000 CDs and I do have problems storing them but I still love my CDs. These days I will only purchase albums worth collecting and artistes I want to support. Thank God for EDM, I stop listening to pop ever since. The same reasons as above goes for Vinyl, which I dig even more than CDs. Though no matter what your poison is, physical formats will always beat digital files, not much fun in handling them, together with the poorer sound quality. And now when Blu-ray sound is starting to kick in and hopefully will conquer the market and become the standard HDCD and SACD never became, will give us discs with even better sound. For me, the photo that you included pretty much invalidates all of the other arguments – look at how much physical space that collection takes up, when it could all be digitized as high quality SHN files and stored on a single hard disk. I move a lot, and got so tired of packing a similar sized collection into boxes every few years. I also love having my entire collection available from my desktop, rather than having to scan through shelves of CDs. This is true, Martin. One of the drawbacks of having a large collection is not having enough space in the event that you have to move to a smaller home. This is one of the reasons I had to sell off my collection as I couldn’t afford to store it. But if the space is not a threat, then I would still prefer a large CD collection as opposed to a portable hard drive. Have a large collection of CDs is an exquisite experience, I certify. I am sorry, but the first reason you give is nonsense. You obviously never heard a properly ripped digital file through a decent sound system. Not to mention a high resolution file. Unfortunately CD’s are not what they used to be. I will take ANY CD made in the 80s over ANY remaster. Well, all I know is that most digital files I’ve heard over the years had a garbled sound to it, especially when it came to the drums. Perhaps there are some formats that compress better than others and have a richer sound, but my preference is still listening from a CD when it comes to having optimal audio quality. Besides, since you can create your own digital copy from a CD why would you prefer to pay for a digital file? To me, paying for a CD and getting the digital files for free makes more sense. Granted, it may be a couple dollars more than the digital version on its own, but it’s worth it to me. I understand not everyone agrees with me, and that’s totally fine. It really comes down to personal preference. I don’t even think I have a program that can play FLAC files. 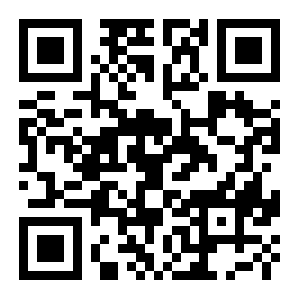 I don’t know any sites that sell music in FLAC format either (other than Bandcamp). I don’t even think an iPod or digital music player even supports FLAC. It hasn’t really taken off here in the U.S. from what I’ve noticed, though it seems to be popular in other countries. You argued against your own point when you said ‘a properly ripped digital file’. Ripped from what? A CD, perhaps? LOL…not quite but I’m sure that’s how it went down with many people. The writer of the article does know CDs are digital files, right? Well, I suppose you are technically right there Bob. However, I was mainly referring to files in the realm of MP3s, etc. I really don’t think there is a substitute for a quality digital file for many reasons, some of which are: portability and organization. Low quality, highly or even modestly compressed mp3’s and such should not be compared to high quality digital files or CD’s, either one. It’s apples to bricks. I agree with this pretty much completely. I have a relatively large CD collection (I would estimate in the region of 4,000 – 5,000 albums) and I also have all of my music stored on a hard drive as well. At least, I did have. Last month I had a massive hard drive failure and lost EVERYTHING. Luckily, it wasn’t the end of the (music collection) world for me as I still owned the albums and I’ve been able to start putting those albums onto a new hard drive. This could have all been avoided if I’d backed up my files, but I didn’t. Lesson learned! I think there are pros and cons with both physical and digital media. I think the trick is to try and find a balance that works for you. For me, that balance will always lean more towards the physical (CDs, vinyl, cassettes), but with using digital files for convenience (such as listening to music on the go). Bummer! Yeah, no hard drive lives forever unfortunately. Pingback: Chwomp | I Asked Reddit: Where Do You Buy Music? I’m on a budget, but I want to support artists. I almost always buy used CDs. Way more affordable that way ($2 CDs, anyone? ), but it doesn’t support artists. But with a Google Play Music or other subscription, I can spend $10 a month, get all my music, AND support the artist. I just listen to hosted versions of songs instead of my own uploaded versions. Obviously, buying an artist’s CD is waaay more profitable for them than streaming their songs. But being on a budget, while still wanting to support artists, this is a way I can do at least a little something. I am a long time CD collector. I like having the physical product in my hands. They do indeed take up a lot of space for sure. I have a mix of CD’s and digital downloads in my collection but mostly CD’s. I feel as if I’m at a crossroads here. With Amazon’s AutoRip program you get a free mp3 copy of most physical CD purchases. I do like the instant gratification. Often times when the CD arrives I don’t even open them because of the free downloads. I have a number of CD’s I have not opened because of this. Having said that, I am not sure if I would just be better off buying the mp3’s and save some space. While not as big of a collection of CD’s as the others here, I have around 450 or so. I have ripped them all to my external hard drive for instant access and rarely touch the actual CD. Do CD’s sound better? Sure they do but I am no audiophile and I doubt I would be able to tell the difference anyways. Most people can’t I am sure. Digital files are convenient for buying a song or two you like but don’t want to buy the whole album. And a lot of the time the iTunes store will have exclusive bonus tracks of an album not available on the physical CD. And generally digital downloads are cheaper than a CD. Not always the case actually but sometimes. There are definitely pros and cons of each format. Just straying away a little I wanted to mention my hatred for those cardboard digi-pak cases a lot of CD’s are coming in now. I am not sure why record labels are doing this. The standard plastic jewel cases are much more better and durable. I have actually bought digital albums because of these digi-paks. And I have spent a lot of money hunting down imports of those very albums who have a standard jewel case. I am probably spending more than I really need to. So I am trying to decide if I should do more downloads and just buy the physical CD’s of my most favorite bands. I actually like the all cardboard digipaks (usually) because they are like little LP record sleeves, and take up less space. Sometimes the card stock is way too thin though, and I can see why people might hate them. I bought cd-case sized polyethylene sleeves to put over the digipaks which greatly helps protect them from scuffs. And also usually use rounded sleeves for the cds themselves inside the cardboard case. I’ve been getting most of my music as downloads, these days, since my cd collection has gotten large enough, I feel like I have near all my favorites on cd already. I listen to my MP3 player or smartphone for portable use, since you can’t beat the convenience vs. cds. I do like to put on a CD at home, with a dedicated stereo CD player, which is still a nicer experience than playing through a computer or device. Much less distracting. I’m not as die hard for CD’s as I used to be, but still sometimes but them. The sound of downloads from music stores isn’t an issue for me, especially since the advent of “Mastered for iTunes” that apple started. The record people are properly mastering albums for digital now and the albums do genuinely sound better than a CD-rip, lossless or not, when played from digital music players. It’s spread beyond ITunes, too, but with iTunes you know it’s been properly mastered because it’s labeled. I haven’t tried to upgrade my entire collection to Mastered for iTunes, but for favorites and new stuff it’s usually worth it. Physically media will always dominate digital downloads for me – Be it music, games or movies. I want to own what I’m spending my money on. Not just rent it digitally. I do agree there is a certain amount of satisfaction to simply sit and stare at your collection – No matter how big or small. It’s just fun to scan your eyes across the numerous colors and letters which make up each spine of the albums. It’s artwork in a sense. As far as space goes – Well, that’s been a problem since the dawn of time, hasn’t it? I mean, let’s be honest here – We only own (or rent) homes because we need a place to put all of our stuff. The key is to work within your means. Get creative with your space, and how you store your stuff. Shelves come in all kinds of styles and options. Shelves which sit on floors, shelves you can hang on walls, etc. Some of the best collections I’ve seen haven’t necessarily been large, but rather presented creatively. Also they’re cheaper.Go on amazon and buy a cd, it will often cost half the price of a digital. You just have to wait a day or two to be able to listen to it. Sometimes amazon even gives you a free mp3 zip. People say digital is easier, but the only effort in getting cd is going outside to a shop. Yeah physical copies are better when you can’t leave your home. Once out, you have to stick to the one cd you have on you. You can’t listen to anything else. It’s not a problem if you really like the album, but how long can you listen to the same thing? It seems that this blog has entered hyper sleep. But I saw this article posted on facebook yesterday and did a double take…that’s a picture of MY CD collection! Now I’m curious where it came from as I don’t even recall taking a picture of it at that stage. I have since added more shelves. For the person who said it takes up too much space, let me assure you that it does not. They cover a wall in a wide central hallway in my house. The only other use for that wall might be to hang pictures. At one point I considered ‘sleeving’ everything and putting them in drawers, but that would actually take up more space and I wouldn’t be able to see everything.